USA – Dierks Bentley is hot. Not only has the country artist’s latest album Black debuted at No. 1 on the Billboard and Top Album Sales charts this summer, he’s been selling out his Somewhere on a Beach tour at nearly every stop and has recently added a second leg that will have him out on the road through October. 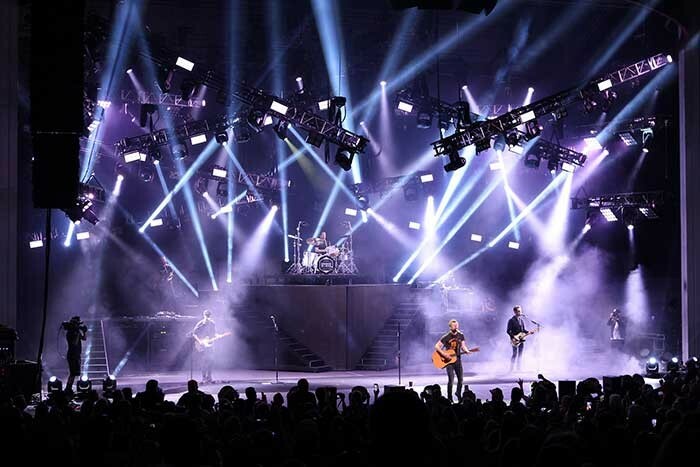 Lighting designer Chris Reade is in his tenth year with Dierks Bentley and for this year’s summer tour has a large automated lighting rig at his disposal, a set up that includes Elation Professional’s industry-standard beam light, the Platinum Beam 5R, along with the increasingly popular SixPar 200 colour-changing LED Par light. The Somewhere on a Beach tour is the largest touring production to date for the multi-Platinum singer and features a unique spearhead set design and large diamond-shaped drum riser. 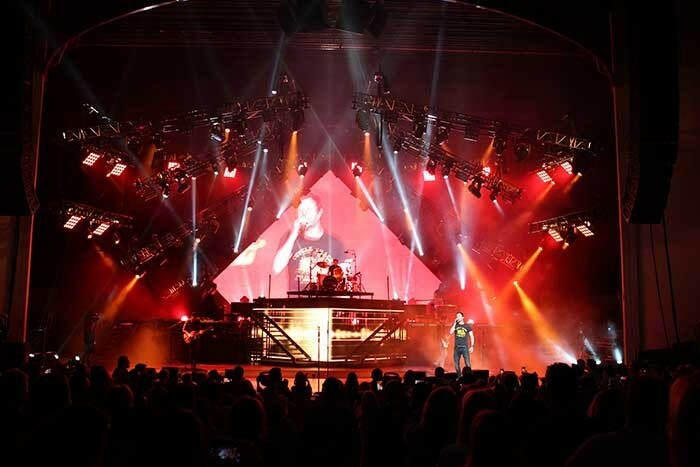 The large rig used to support the lighting includes a series of automated trusses, which allows for a variety of looks and shifts in tempo. Reade has 12 of the Platinum 5Rs located in the air on automated trusses with an additional 15 on the floor and set. 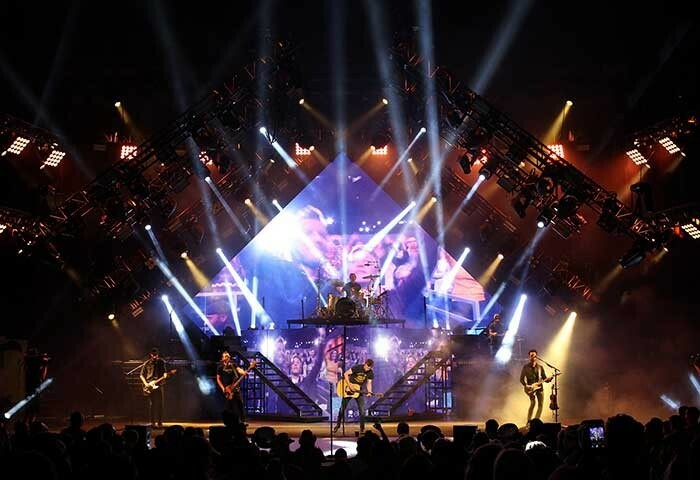 With a fair amount of video in the show, including an upstage LED screen and large LED screen fronting the drum riser, the Platinum 5R’s are also able to cut through the ambient video light. Also in the setup are 30 SixPar 200 Par lights with homogenized RGBWA+UV LED source, which are used across the rig for truss toning. “I chose the SixPars as I don't like LEDs that show multi-coloured diodes and wanted the colour mixing behind the lens,” Reade states. “They are located on every truss for toners and make the automation aspects of this year’s tour very apparent.” The SixPar 200 houses a high-power six-colour LED multi-chip (12 x 12 Watt LEDs) and can be used as a wash light, uplight, wall wash, truss warmer and more. “Both the Platinum Beam 5Rs and the SixPars have performed extremely well,” Reade says. Production designer for the tour is Bruce Rodgers of Tribe Inc., who Reade says is an honour to work with. “His creativity and vision are a huge inspiration to me,” he stated. Christie Lites is supplying the lighting for the tour. “Rod ‘Red’ Gibson is our account rep and I can't say enough positives about my experience working with him. It's truly been a pleasure.” Marc "Chainsaw" Wuchter is the head rigger and lighting crew chief. Also on the lighting crew are Jacob Alexander, Tim Lighthall and Heather Cossette. Automation is by Sebastien Richard. Production manager is Jay Ballinger. “I love our crew and this show wouldn't happen without them,” Reade concludes. Dierks Bentley has been touring the US in support of the Black release since 12th May.